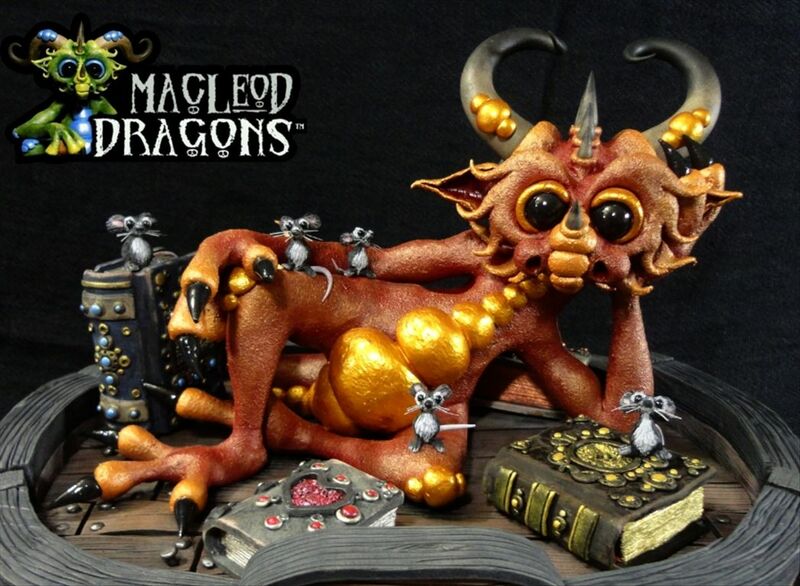 Ryan MacLeod is a self-taught polymer sculptor who sets his dragons down in the midst of the most unlikely and mischievous predicaments – from candy store to steampunk. 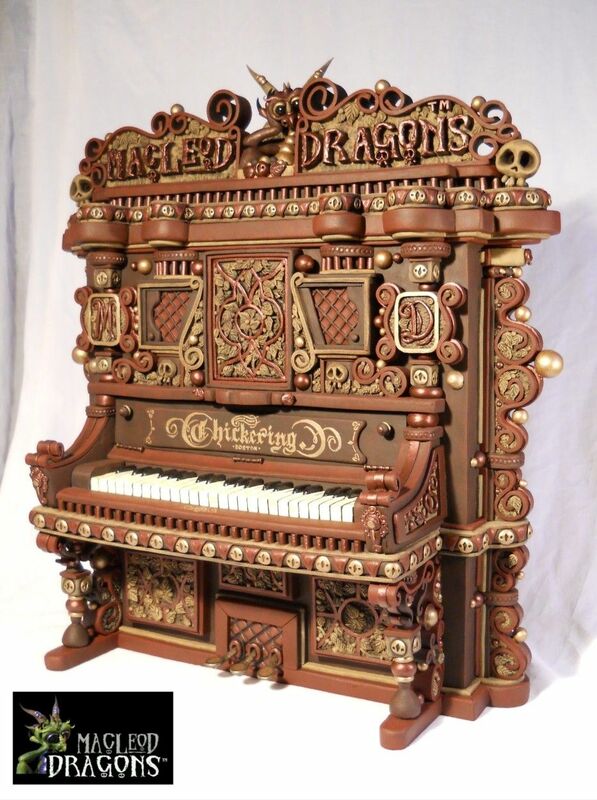 His ornate miniature polymer piano was irrestible. American-born Ryan now lives in India with his wife and family. His friendly dragons, like this recent Fire Dragon, will charm and delight you with his antics. This is a good way to warm up to the goblins and dark creatures that will be visiting PCD soon in honor of Halloween. Perhaps the easiest way to appreciate all Ryan’s dense and complex creations is on Pinterest. You may also catch up with him on his website and on Facebook. Susan Lomuto (Daily Art Muse) sent this link along. See what mischief she’s been up to with her new MAM and sample a free issue here. I’ve recently seen these dragons for the first time on Facebook. The detailing in the pieces is amazing!